124 serves as a central image in the novel and all three part begin with an observation of this type. This begins Part One. The problem of haunting will pervade the novel, both literally and figuratively. 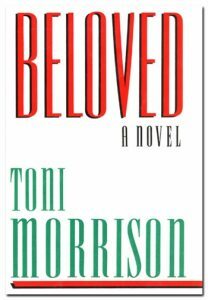 Beloved is a character who can be read as both a haunting force of the legacy of slavery and as a literal ghost. The memories of slavery haunt everyone in the house. The image of baby’s venom speaks to the infanticide which is a crisis moment in the book. It also refers to the isolation which settles in around 124 stultifies Denver and forces her out. The utterly dehumanizing force of slavery is a central theme in the novel, and in this quotation from Chapter 19 we see how the force undermines even those who fuel slavery. White people fear black people because they believe that beneath even the most civilized exterior of all black people is a menacing and primitive violence just waiting to be unleashed. The quotation locates this atavistic tendency in the primitive jungles of Africa. But the quotation explains that this fear on the part of white people is the fear of their own savagery. The violence and cruelty they inflict on black people creates the so called jungle they fear. If there is any menace posed by black people it is entirely the creation of the white people who perpetrate the crimes of slavery. It is their own savagery they fear, the nightmare of confronting the cruelty they inflict. This quotation is from Chapter 18. Here we read the internal monologue of Paul D as he confronts the facts of Sethe’s infanticide. What is revealed is the profound realization that Sethe’s maternal love and devotion is so intense that she will seek the ultimate freedom of death for her children rather than return them to a life of slavery. She will “drag them through the veil” of death, he thinks, so as to send them to the ultimate freedom. It is a profound moment in the novel because we see how the brutality of slavery transforms even the love of a mother into a form of brutality, all of this with the cruel irony of the release from slavery.